“The Shack” Reviewed by a Conservative (With Poll) | J.W. 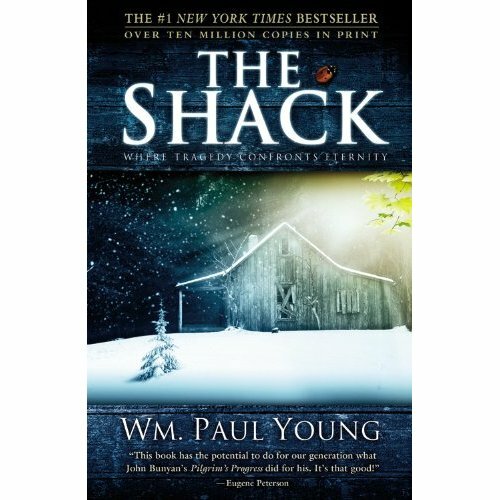 Wartick -"Always Have a Reason"
The Shack by William Paul Young is one of the most popular Christian works of our era. It is hard to ignore the impact this book is having throughout America. It is discussed in Church book clubs, discussed on Christian forums, and generally well-known. I was in Kansas this past week and my fiancée’s mom (feels awesome saying that) urged me to read it, for no other reason than to be able to engage in dialogue about it. I’m going to try to keep my review as spoiler-lite as possible, though there are spoilers scattered throughout this review. This is the only warning. I went in with some strong biases against the book. I’d heard from others that it is pretty terrible theology and borderline (or actual) heresy. Needless to say I wasn’t expecting to enjoy it, but, like any good work will do, The Shack proved my biases wrong. The plot is fairly simple. A man, Mackenzie, has a horrific tragedy happen to his daughter; this tragedy affects his whole family in negative ways; then he receives a letter from God (?) asking him to come to the place the tragedy happened to talk about things. The rest of the narrative revolves around this discussion. One note I should make as a reviewer is that Young’s prose is fantastic. His descriptions of everyday events and locations inject a reality into the story that is necessary to get readers hooked, and he writes about the uncommon and the supernatural with stunning beauty. The plot serves as just the background for what the book seems (to me) to be; The Shack is a stirring work of philosophical and theological investigation of the nature of God, the problem of evil, and our hope in Christ. Readers who have read the work or read anything about it probably already know that God is portrayed in the work as three “persons” in a very literal way. The Father, “Papa”, is a motherly black woman, Jesus is a plain-looking middle-eastern workman, and the Holy Spirit changes her (?) form throughout the work. I feel it is necessary to address this, because this is perhaps the most controversial part of the book. It seems to me, at least, that the idea of God coming to people where they are should not be such a hot issue. Christ Himself describes God’s action in terms of a hen gathering chicks beneath her wings (Luke 13:34). God appeared in various forms throughout the Old and New Testaments (burning bush, still voice in the wind, incarnate Christ, etc.). I find it dubious at best to claim that God does not/can not appear otherwise to individuals–perhaps as a mother to those in need (and this would line up well with the Christian background of religious experiences, cf. Perceiving God by William Alston). These three persons serve to drive the narrative of The Shack while also making claims about the various works of the persons of God. There are many points throughout the book where I found myself nodding as Young wrote a wonderful insight about the work of God. Young’s answers to some of the most poignant questions of humanity resound throughout the work. One of the most stirring moments is a chapter in which Mackenzie is asked to decide which of his children goes to hell. This is meant to reflect the way Mackenzie (and some Christians) seem to put God in the judgment seat, arbitrarily determining who goes to heaven and who is damned to hell. Mackenzie begs to be condemned instead of his children, and in a powerful turnabout, he is told that this is exactly how God feels. He became incarnate to die for our sins, to give the opportunity for all to be saved, loving all God’s children perfectly (p. 165). Moments like this occur throughout The Shack. Another thing I must share is The Shack‘s answer to religious diversity. Jesus says that those who love Him come from every background, including other religions. This leads Mackenzie to ask, “Does that mean… that all roads will lead to you?” Jesus answered, “Not at all… Most roads don’t lead anywhere. What it does mean is that I will travel any road to find you” (184). Should Christians agree with this answer? I leave it open to the reader to answer this question. Suffice to say that The Shack will challenge readers from all walks of Christian life. I finished the book in the span of a day. I set it down late at night, realizing I couldn’t be the same Christian I was before. The Shack grabbed me and wouldn’t let go. The questions Young asks through Mackenzie are questions all Christians must face, and the answers he provides focus on one thing: the Love of God. There are definitely things that made me uncomfortable while reading The Shack, but there are other things I realized were suddenly made clear. Treating The Shack like a theological treatise is unfair. It’s not a doctrine book, it’s a work of Christian fiction, and it excels in its niche, asking questions, giving answers, and leaving it to the reader to decide whether he/she agrees or disagrees. This is a fantastic work and I highly recommend it to my readers. You don’t have to agree with what Young says in The Shack to make the book worth reading, but you should read it. Issues Etc. did a review of it that talks about the good in the book and then addresses the implications of some of the author’s more theological claims. And the book does make claims with theological implications without being a systematic textbook, so those must be addressed. I’d like to hear your response to Todd’s 4 concerns. Well now I’ve listened to that link twice, and then re-read sections of the book itself. I gotta say that while Todd brings up a few good points (points I agree with him on), I still almost feel like we read different books. It seems like he took the lack of explicitly outlining certain doctrines as being a denial of them. For example, I think Young does a great job of outlining the significance of Christ, but no, he doesn’t specifically say that Jesus was the substitutionary atonement for all the world’s sins (though he does seem to imply it, in my opinion, when he writes about hell and damnation and says that Jesus did that for everyone). Perhaps it is because I have a strong theological background (or so I like to think, anyway!) that I enjoyed the book–the gaps that were there I just filled in almost unconsciously. But then, if that is the case, it seems like the book could be ideal for church study groups… or for those who disagree to attack it! Either way, I thought it was a great read. I’ve only heard bad stuff about it from pastors, heard great stuff about it from any laity who has read it. I simply haven’t made the time to read it and form my own opinion… yet. That’s interesting, though. I wonder why there is such a divergence? Well, I bought the book last night and I’ve already read half of it. I stayed up till about 4am reading it and woke up with the book on the floor. Had I started earlier than midnight I probably would have finished it, lol. I love Young’s writing style, he’s a gifted writer. Sometimes the geographic details (like what roads they drive on) gets a little over the top but the detail is for the most part outstanding. I have caught a few problems, mostly with the Godhead. I sort of jumped when Papa had scars on her wrists, that’s an old heresy called patripassianism. Young was clearly aware of this when he wrote it, as he weaves around it very well. I don’t really have an issue with Papa being portrayed as a black woman, in fact, that’s very clever in light of the plot and Mack’s relationship with his father. I’m also not so sure about how homely it is, but then again, that’s sort of the point. What I mean is that there doesn’t seem to be a real understanding of the holiness of seeing the Father face to face. But for the purpose of the plot, it’s genius. So far, I am thoroughly enjoying the book, theological errors aside. As you said, “You don’t have to agree with what Young says in The Shack to make the book worth reading, but you should read it.” It is certainly an excellent read. Glad you’re enjoying it, Dan! I just came upon another review of the book that I found pretty enlightening here.